Growing up there were a few signs that the holidays had arrived that I have worked to carry on (some with the not so subtle prompting from my husband). 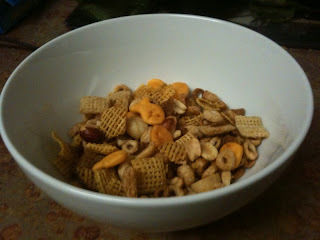 One of his favorite carry-overs and mine (until this year) was the making of my Mom's famous party mix. For years it was a homemade gift we gave to family and friends. A gift that was missed by many the years we didn't get to making the extra batches. I think I was practically raised on the homemade Party Mix. And if you ask any of us is tastes VERY different from the commercially bought Chex Mix or the kind you make in the microwave. 16 cups of dry cereal (this can be any combination- Rice Chex, Wheat Chex, Corn Chex, Cheerios, Crispix, Goldfish Crackers, you get the idea). Put the stick of butter in a large roasting pan in an oven and set to 225 degrees. Once it melts mix in the Worcestershire Sauce, Garlic Salt & Seasoned Salt. Then dump in the rest of the ingredients and stir well. Place in oven. Mix every 15 minutes for 1 hour. Then let cool. I promise it makes your house smell soooo yummy and provides a great snack before large meals! *Note that I am going to be changing up the format of this site over the weekend, so I apologize in advance for any temporary quirky things that may occur! So you're probably wondering where all my Disneyland posts have gone... Well, in case you missed it, I'm also now blogging over at KidsandMice with Aracely (aka DayTrippingMom). For now, most of my Disneyland specific posts will be over there, but I'll be sure to mention big things back over here about Disneyland too! To celebrate the launch of KidsandMice we are giving away Four Tickets to Disneyland! So hurry over and enter for your chance to win them, the giveaway ends 12/31! This seems to be an ongoing issue in our household but yet again we've had to write a note to the toothfairy explaining why the tooth can't be placed under the pillow. Do you have any funny or cute tooth loss stories? You know I love that little zoomer! So everyone who knows me knows I am addicted to my iPhone. I really don't know how I lived without it. But recently I've noticed the kids are maneuvering to snag my iPhone when I leave it unattended. They LOVE the Apps. I also can't tell you how many times those Apps have come in handy (waiting at the doctors office, in line at the grocery store, on a road trip, you name it...). I have actually created a special games page on my iPhone so I can just hand the kids my phone while I am focusing on something else for a few minutes (like driving!). • Tomena Sanner - As businessman Hitoshi Susumu, players are on a mission to race against the clock while avoiding obstacles like T-Rexes, samurais and cowboys that get in their way in order to reach their ultimate dance party destination. • Field Prowlers POLICE RUSH! - In this exciting car chase game, players assume the role of a police officer sworn to protect and serve by chasing down criminals and arresting them. 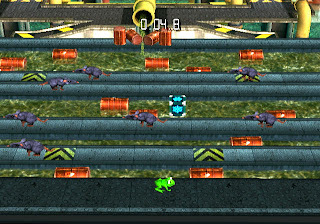 • Frogger - Help guide one of Konami's most beloved characters safely across the highway while avoiding oncoming traffic and other obstacles. • Silent Hill: The Escape - Enter the fear-provoking town of Silent Hill where players must solve puzzles, uncover dark secrets and gather clues to avoid grotesque monsters and survive. • Krazy Kart Racing - Pick one of ten classic Konami heroes and speed across 16 themed racing circuits in this 3D cartoon styled racer. • DanceDanceRevolution S - In this addictive music rhythm game, choose from up to three gameplay modes with 26 songs and 18 playable characters. • DanceDanceRevolution S+ - Groove in classic DDR style, but with an added bonus of being able to download new tunes to tap to on the go. • Power Pros Touch - Experience the crowd cheers, fight songs and over 120 variations of play-by-play baseball commentary as players chose from 25 to 162 game seasons. I admit it - I love it when companies find a way to support charities through the sale of their products... but when you mix in a charity that is working to see that no child goes hungry... I'm sold! Honora has set lofty goals to raise $30,000 through this campaign using Social Media, blogs and emails. Let's show them just how powerful the internet and Web 2.0 marketing can be for a good cause! *and nope, absolutely zero compensation for writing this post. Every few years technology makes a cool advance. If you have a daughter (or niece or granddaughter or other young girl) in your life, you already have or will likely soon hear about the Moshi Monsters. With well over 10 million fans worldwide (Moshi Monsters started in England a few years ago) these likely aren't going to disappear soon. Adopting and participating in the Moshi Monster virtual community is free (of course there are options to upgrade). Cruise on over to the Moshi Monster website, have a look around and see why this is gaining recognition here in the United States. 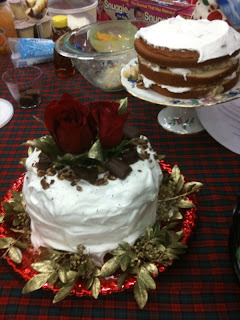 But here's the best part... Just in time to celebrate the Holidays... I've been given four COMPLETE sets of the Moshi Monster Mo Pods (key chains themed after each of the Moshi Monsters that spin around and flash lights when your cell phone rings. You'll never miss a call... think parents - your daughter will never be able to say she didn't know you called again!) Each Moshi Monster Mo Pod comes with a secret code that unlocks a free virtual accessory for your online adopted Moshi Monster. These are the perfect stocking stuffer for young girls ages 7-12. If you're one of the four lucky winners, you'll have all six Moshi Monster Mo Pods (pictured above) to put in as stocking stuffers! This giveaway ends 12/19/09 - so get commenting! I loved all the creativity we had with the last giveaway comments! 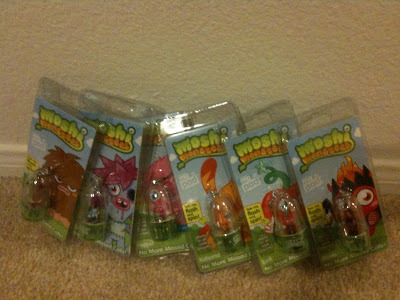 1 Entry for leaving a comment stating which Moshi Monster is your favorite (go here to pick it out). You can do this up to once a day until the contest ends on 12/19/09. I will delete ALL your other entries if you don't do this. 1 Entry (each) subscribing to the Email Feed of OCMomActivities, following through Google, RSS Feed Subscription or any other form of feed. 1 Entry for Tweeting about this giveaway. Be sure to come back and say that you have to gain the extra entry. My favorite from the last giveaway... get creative and make a holiday poem, rhyme or other cute saying about one of the Moshi Monsters. This can include why you want it. 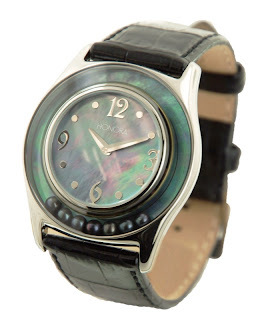 I'll include one entry of this type per day until the giveaway ends on 12/19/09. *I was provided product for review/informational purposes but was not compensated in any way for this post nor did it have any effect of my opinions expressed in this post/giveaway. 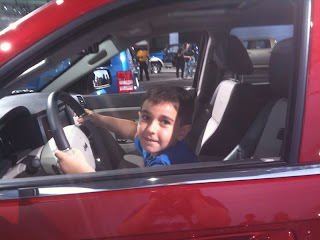 I was thrilled to be invited last weekend to a special Mom Blogger event at the LA Auto Show to preview the first ever Kids' Fun Zone. I knew it was a recipe for success, because what most kids need after a few hours of a more adult activity is a way to get their energy out and the Kids' Fun Zone provides exactly that - a break for the kids! There are several bounce houses/bounce courses, face painting, bubble making areas, arts and crafts games and more. What I loved is that the Kids' Fun Zone really caters to all ages of children because there are a handful of XBox driving simulators for the older kids and a kids' Jeep driving course for the racer car drivers in training! It provides a great place for families to "decompress" after a long day of walking. It was tough getting my boys to leave and go check out some of the car exhibits! 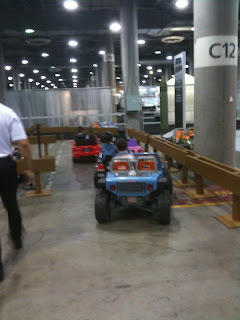 For those with kids still in strollers - the LA Auto Show is completely jogger/stroller friendly! The Kids' Fun Zone is open December 12 & 13 from 9:00 a.m. - 8:00 p.m. (located in Kentia Hall) and is free with admission to the LA Auto Show. Discount Coupons are available through participating LA area new car dealerships and through e-tickets purchased at LA Auto Show. *We were provided admission to the LA Auto Show to facilitate the review of the Kids' Fun Zone and the LA Auto Show, but it in no way affected my opinion reflected in the post. Now my life is full of the quest for snails, snakes, roller coasters and other adventures. I wouldn't change it for the world! How has your life changed since becoming a Mom? 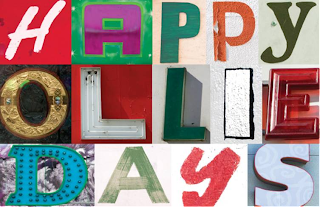 The holidays are here! One of my absolute favorite treats during the holiday season is the Peppermint Mocha you can get at most coffee shops. Last week I was invited to a Got Milk? event up on Melrose in West Hollywood. No way I would miss that event! Coffee, West Hollywood, Mom Blogger event... perfect combo if you ask me! We were treated to custom drinks from United States Barista Champion (2007 and 2003) - Heather Perry. Heather's been featured on the Food Network, the Discovery Channel and is even listed in the Guinness Book of World Records for building the world's largest espresso machine! Pumpkin Spice Lattes, Peppermint Mocha Martinis, Tres Leches Lattes, Holiday Frozen Hot Chocolates, Eggnog Lattes and Toffee Mochas were the highlight of the event. They were all truly delicious and are easy to make at home! I left the Got Milk? event pleasantly jittery from all the extraordinary coffees we sampled (which was very handy because I went straight to the Chevy Preview ahead of the LA Auto Show). Combine espresso and pumpkin pie and mix well. The nice thing about the pumpkin pie mix is it already has all the spices needed. If you only have canned pumpkin, use 2 tbsp. canned pumpkin, 1/2 tsp. cinnamon and 1/2 tsp. nutmeg. Top with warmed milk and enjoy this traditional holiday treat. Begin by dipping the rim of your martini glass in water, then dip the rim in 1 tbsp. of crushed peppermint. In a martini shaker, place your fresh espresso shots, chocolate and peppermint. Stir until chocolate and peppermint are dissolved. Then add milk and ice and shake vigorously. Strain into martini glass and enjoy this refreshing, minty drink! Combine all ingredients in a blender and blend until smooth and creamy. Pour into a tall glass and top with whipped cream and sprinkles. *I was only "compensated" for this post with the yummy drinks mentioned above at the Got Milk? event. Between now and the end of the year you can go to Etnies.com and receive 30% off any purchase, get a free stocking stuffer (while supplies last) and receive free shipping! The code is the same as before "etnies family". Pass it on to everyone you know - this is a fantastic deal! 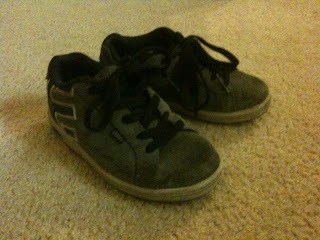 I'll give you one guess as to what Kyle will be getting for Christmas in addition to toys, etc... Yup - another pair of Etnies! As you know, we are huge fans of all gaming systems in our house.... and I've been waiting for this one! 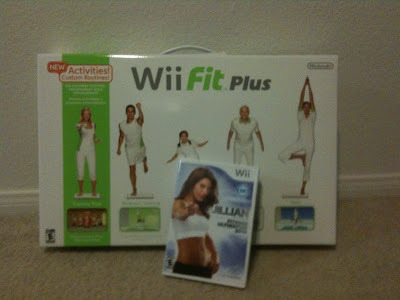 I'm giving away a WiiFit Plus Board and Jillian Michaels Fitness Ultimatum 2010 Wii Game!!! This is only open to US Residents (because of mailing costs). If you don't leave your email address in the comment, be sure to check back to find out if you are the winner. You will have 2 days to respond before I pick another winner! This Giveaway is courtesy of Sports Authority teaming up with Jillian Michaels and Nintendo and the launch party from November 19th. I had the privilege of a sneak peek prior to the LA Auto Show at the new Chevy Volt and Chevy Cruze last night. It didn’t take me long to see that I am their target demographic. And now it just makes perfect sense! The Chevy Cruze (pictured above) is designed with families in mind (from price point to safety to aesthetics). Keep in mind that I’m not an auto expert – I’m a busy Mom to two wonderful boys, so what you are getting is simply my opinion. I might as well just admit it - I’m also a car snob. The thought had never crossed my mind of looking at a Chevy for anything other than the Tahoe… and when it comes to a family sedan I’ve never really thought outside the BMW, Lexus or Mercedes realm. I’ve been eyeing all the new Hybrid vehicles on the market and wondering if I was ready to make the jump back to a family sedan instead of the gas guzzling SUV. (To me the Hybrid SUV’s like the Yukon &Tahoe don’t improve the MPG enough to warrant the price tag yet). It looks like the Cruze will come in around the $20,000 mark. Talk about affordable! 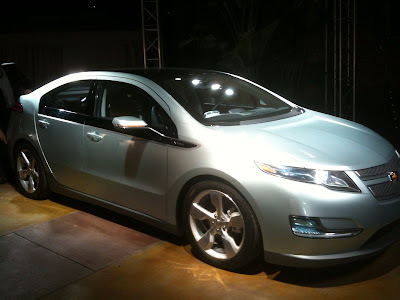 The Chevy Volt (pictured above) is a car of the future that is about to go on sale today! 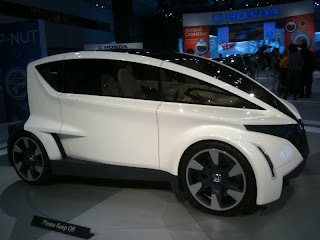 On the outside it is reminiscent of the Toyota Prius, but it takes fuel efficiency to an entirely different level! It’s designed for the average person who drives less than 40 miles a day (although you can drive it more, you just won’t have the same insanely awesome gas mileage). I’ve got to say it is one REALLY cute car. Perfect for a second car if you’re a family or as a primary car if you aren’t hauling kids around (the demo I saw only had 4 seats because there is a console in the middle back row)! I’ve heard lots of numbers thrown around in regards to cost of the Volt, but I can tell you it will definitely be way less than $50,000 and will have environmental rebates. My bet is the cost will end up being $40,000 or less after those rebates. That is competitive. I walked away from the night being proud of Chevy (still surprising myself with that…). I’ll save it for another post, but as a working Mom, I also walked away with a newfound respect for Chevy as a company. Their embrace of women and mothers in their workforce is impressive and I can’t wait to tell you more specifics about how real that is, not in theory – but in practice!